Crunchy on the outside, moist and flavorsome on the inside, fried chicken is America’s greatest contribution to the global food scene. And lucky for us in New York City, good fried chicken is available in multiple locations, in a variety of forms. There’s fast-casual hipster joints to Taiwanese snack shops. There’s good ol’ classic fried chicken to scrumptious chicken sandwiches. At any level, NYC is fried chicken paradise. 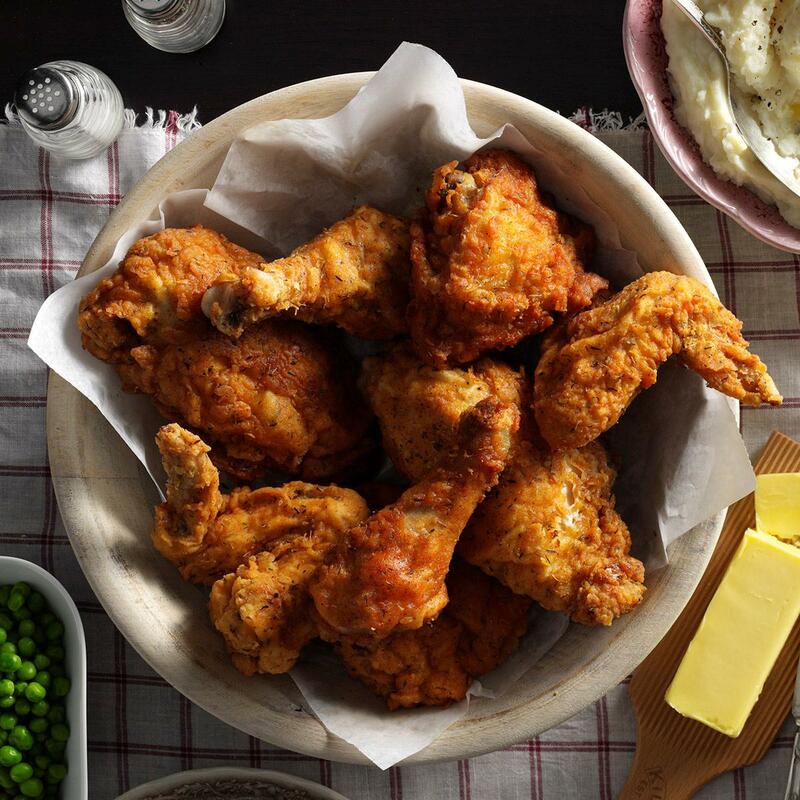 You can find some of the top restaurants that cater the city’s best fried chicken available for catering online with MobyDish. 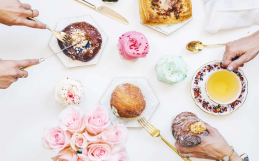 Get access to food catering from the likes of Blue Ribbon Fried Chicken, Sweet Chick, Chick-fil-A, Bobwhite Counter… the list goes on. 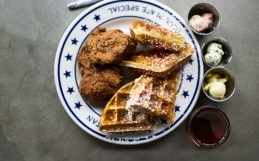 One name to highlight in particular is the buzzy East Village hotspot known for its Southern-style fried chicken and rustic charm, Root & Bone. 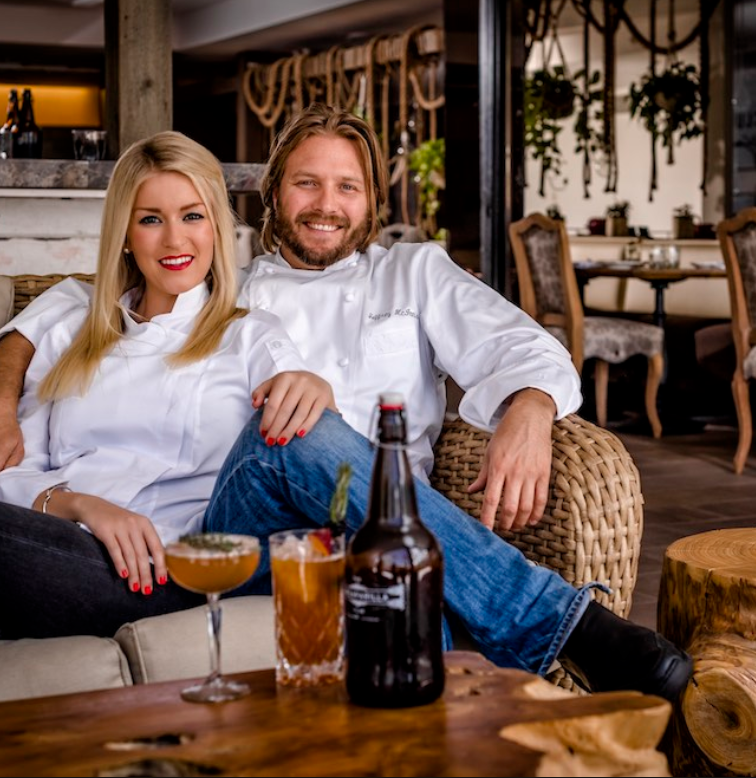 Root & Bone was founded by TOP CHEF alums Jeff McInnis and Janine Booth who wanted to create a place for honest Southern food and hospitality. 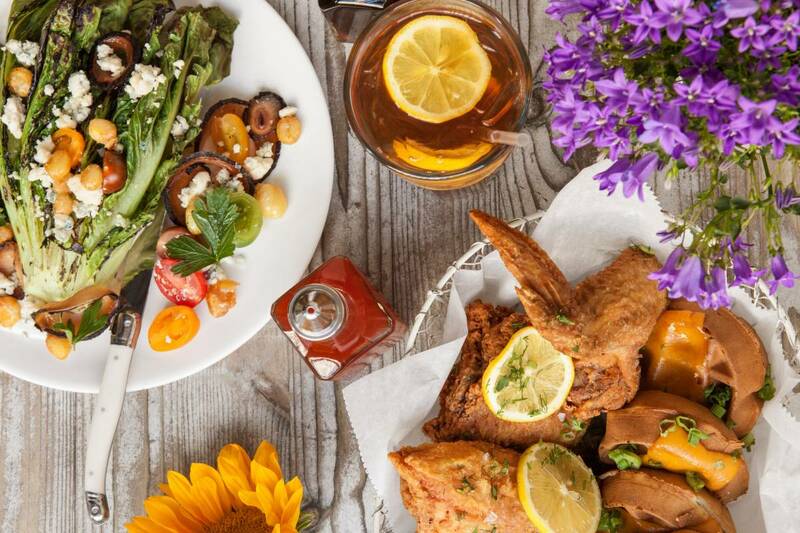 A place to transport you back to Mom’s kitchen in rural America, where the food comforts the soul and the recipes are timeless and traditional. The rustic and charming decor of the restaurant provides a warm, light and airy ambiance. 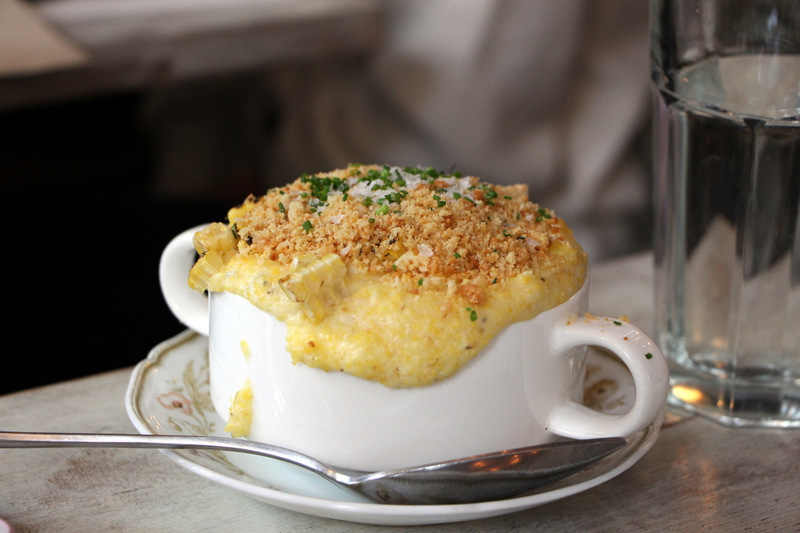 In no time, New Yorkers braved long wait lines for a chance to eat at this trendy neighborhood destination. 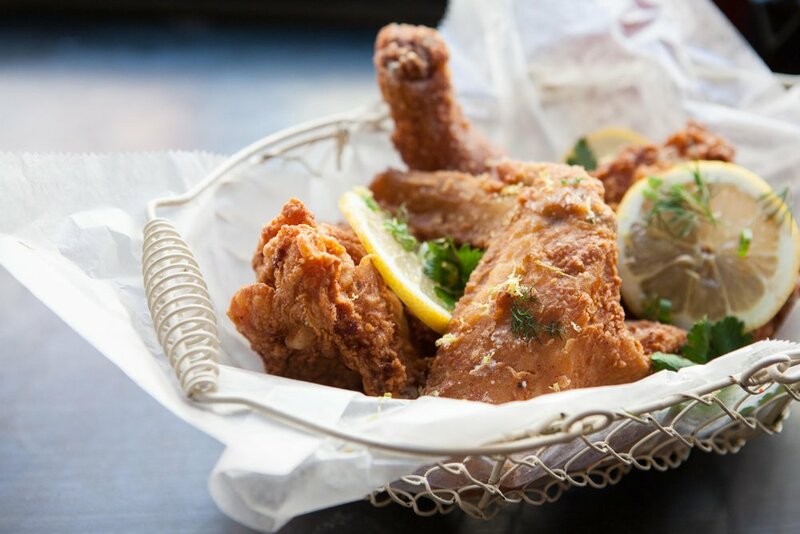 It became THE place for New Yorkers to get their fried chicken fix. 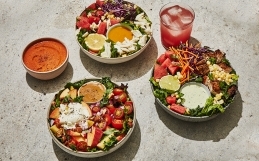 Now, with MobyDish catering services, New Yorkers have the opportunity to boast an office lunch catered by Root & Bone! Read on for our top picks from their catering menu. Hormone and antibiotic free chickens from Amish farmers in Pensylvannia, brined for 24 hours in sweet tea, dusted with lemon powder. 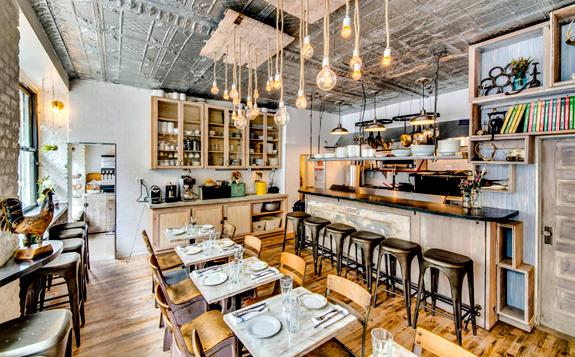 EATER NY dedicated an entire article to the making of this very special fried chicken here. 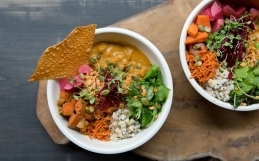 Looking for more inspiration on delectable lunch catering ideas? 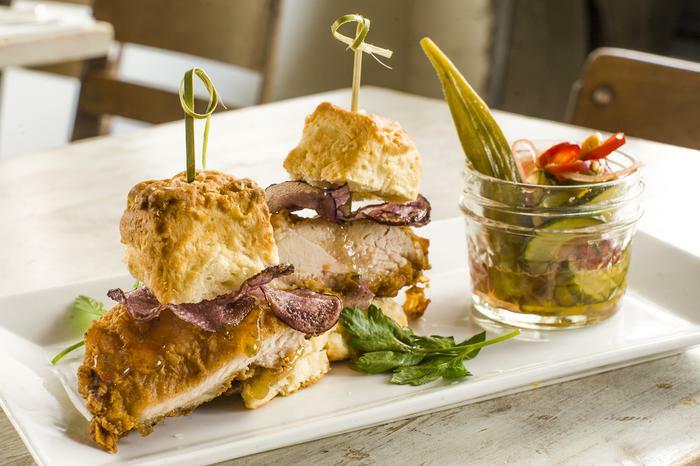 Check out some of our other covers in this series of summer-loving, easy-eating food catering: Mighty Quinn’s BBQ, Blue Ribbon Fried Chicken, Sweet Chick and Bobwhite!